Insect pests pose a challenge to the efficient horticultural fruit production especially in Kashmir valley, as horticulture sector constitutes 60 per cent of the state’s economy. Fruit industry of Kashmir valley is prone to insect attack and can flourish if the losses due to insect pests are kept under check. In order to obtain optimal production of horticulture fruits crops and compete at global level in terms of productivity, knowledge about insect pests, their biology, bionomics and management is of paramount importance. This information could be best used to devise suitable management practices so that insect pests are controlled before they could cause severe infestation and subsequent loss of quality produce. 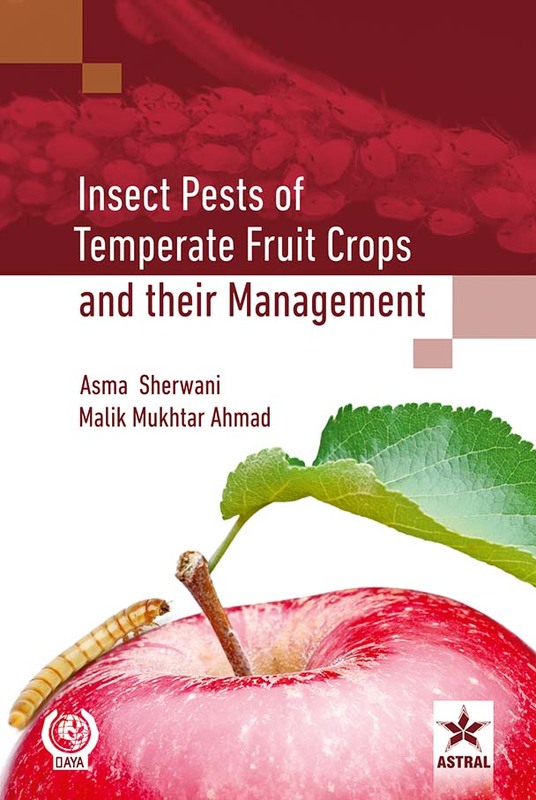 This book encompasses insect pests of temperate fruit crops and due emphasis has been given on their description, general appearance, nature of damage and management. The book has presented an account of all the temperate horticultural insect pests of the world. This book has been written with the primary aim of furnishing information about life cycle and damage of insect pests to teachers, students and all other stakeholders.